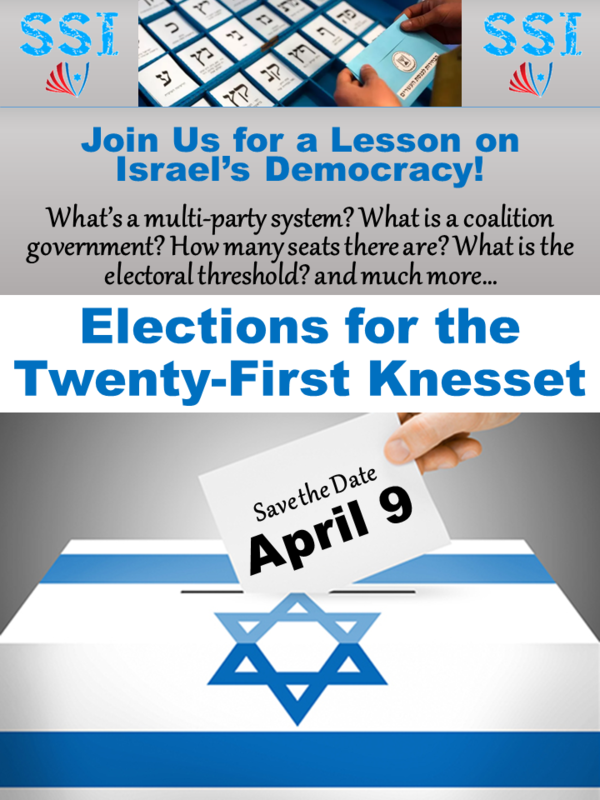 to host an event that educates students on Israel's colorful democracy! 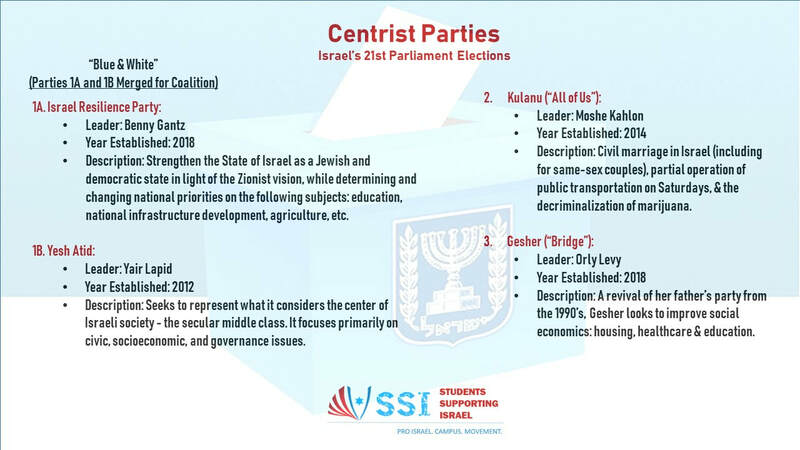 ​Join SSI and our "Vote Israel" campaign to promote a better understanding of the only true democracy in the Middle East among your campus community. 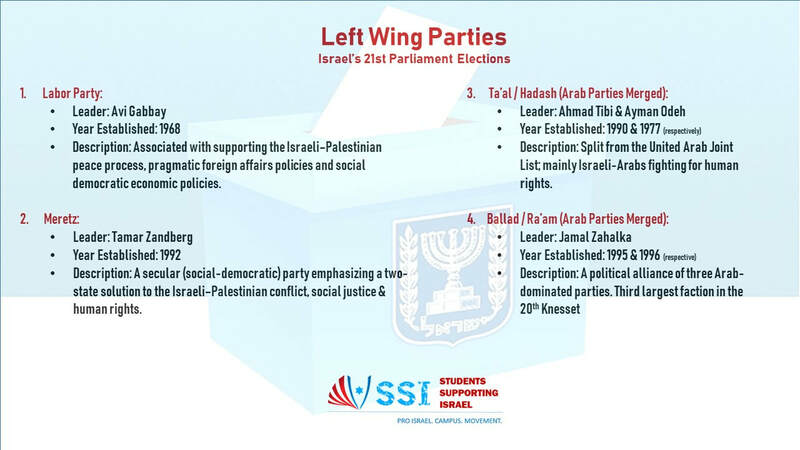 Each campus will receive 120 cards (30 copies of each of the cards bellow) to display on campus. 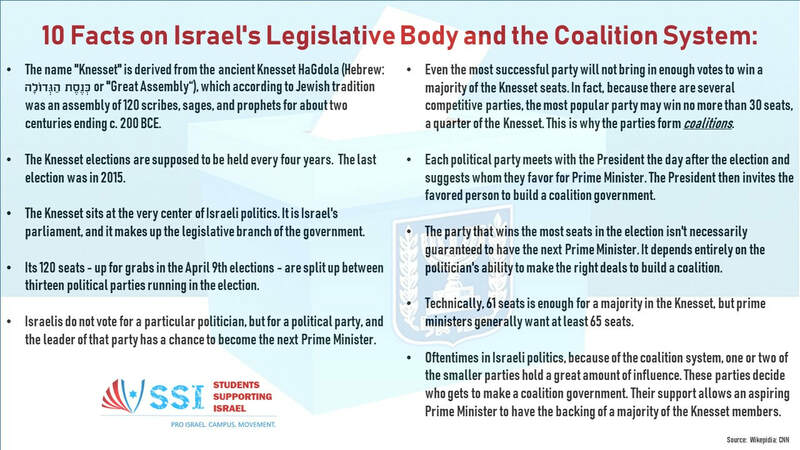 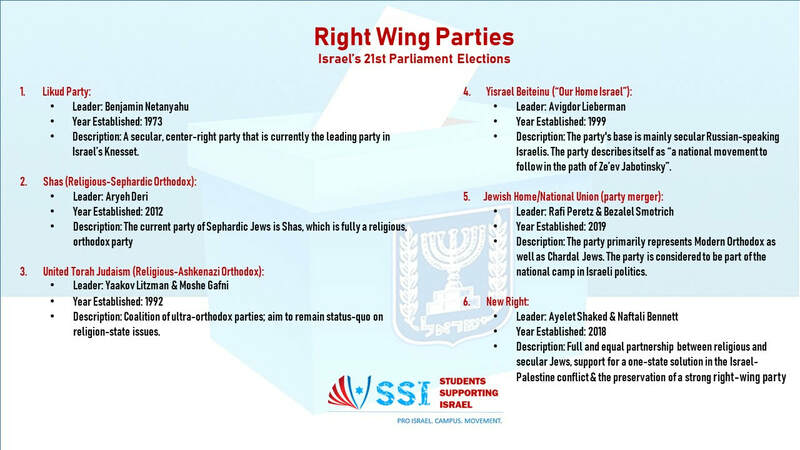 The cards include a description of the parties running in the elections, general information on the Knesset (Israel's legislative body), and how the process of coalition building works.